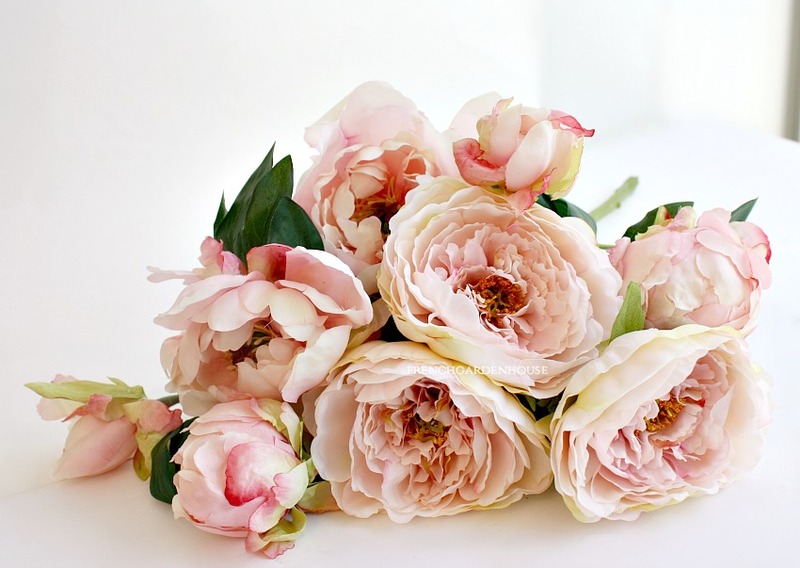 Who doesn't adore the gorgeous Peony? I searched high and low for the perfect combination of faux pink peonies for this bouquet. 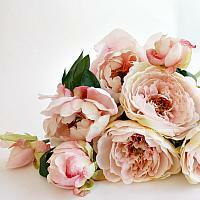 These lovely light pink peonies are fresh and feminine, and they last much longer than the short lived real thing. A symbol of prosperity and distinction, the peony is always unforgettable. 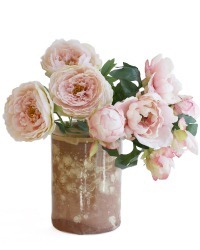 Capture the allure of peonies all year long with this luxury and exclusive floral bouquet. 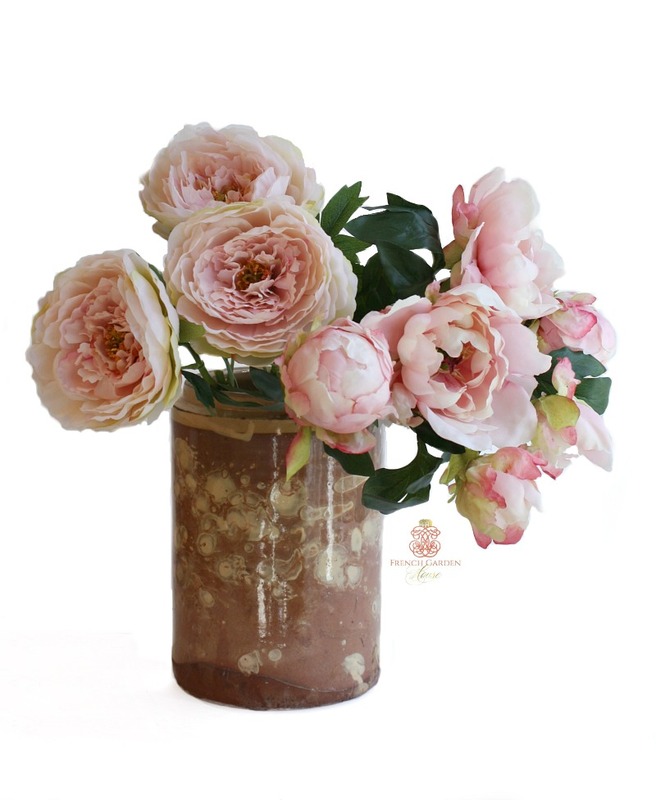 Our bouquet includes three fully opened peonies, two opening flowers and buds, and two tight buds, just like a bouquet from the French florist, for a total of 7 stems. Very limited quantities.